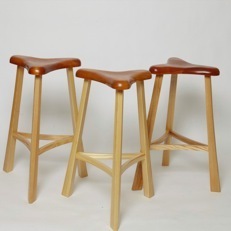 This stool is my one concession to the production process - I usually make them in groups of 10 or a dozen. They are time consuming to build, so in order to keep the prices in line, I do them in small batches. The original design was by David Rogers, at the time the manager of the Thos. 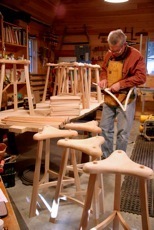 Moser chair shop in New Gloucester, Maine. He made one and I acquired it and used it in my shop at the bench until I lost it in a fire in 1992. 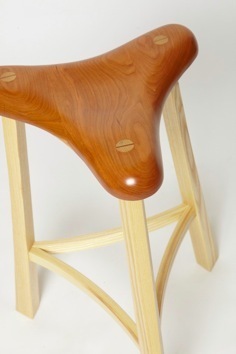 In 2009, when I left the practice of law, this was my transition piece back into furniture making.